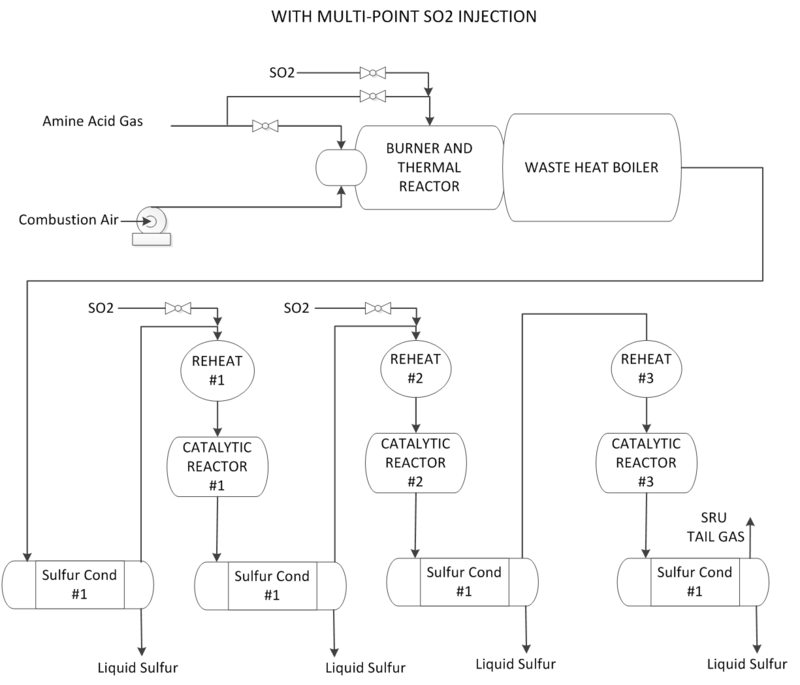 Sulfur dioxide can be produced externally and injected into a thermal reactor, reaction vessel, or at any location where hydrogen sulfide is present. The SO2 Injection can significantly increase the capacity of a Claus and tail gas unit. This procedure also reduces the cost for new plant sulfur recovery unit applications by eliminating the need for additional thermal reactors, large waste heat boilers, and traditional re-heaters. The SO2 is produced by a unique processing unit that also provides high quality nitrogen for use on-site at no extra cost. The advanced No-monia process will allow clients to process large volume sour water stripper gas without major modifications to the SRU.